The Golan Heights rises up to the east of the Sea of Galilee in the far north east of Israel. Home to some of Israel’s most spectacular landscapes, and funnest adventures, the Golan Heights are a land of beauty, far removed from the cities of the center of the country. Eagles nest at Gamla, deer roam at Odem, whilst man gazes at the spectacular landscape from Mount Bental. In Hamat Gader, natural hot springs have been used by man for thousands of years, whilst man has recently used the snow at Mount Hermon as Israel’s only ski resort. Explore by driving off-road in an ATV, with a guide in a jeep, by foot on the hiking trails, biking on the tracks, or in a more extreme way, canyoning or rafting. The Golan Heights are truly remarkable! The Golan Heights are a green rocky plateau located to the east of the Sea of Galilee in the far north of Israel. About 40 miles from north to south, and an average of 12 mils from east to west, it is a relatively small region. 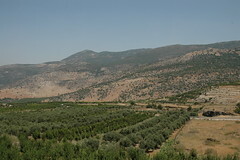 Despite its size, the Golan Heights is very important, supplying Israel with over one third of its water, and, historically as the site of many important battles. The Golan Heights contains some of Israel’s most beautiful spots, shaped by the rugged and in places lunar landscape. Its great resource – water has created green landscapes, and some beautiful water-features. The Saar Falls are arguably Israel’s most spectacular waterfalls, competing for the honor with the Banias Waterfall, the most iconic and largest waterfall in Israel set within the Banias Nature Reserve, with a great selection of hikes as well as some important history. Mount Bental offers literally breathtaking views across both Israel’s Galilee and the flat plains of Syria. A cafe here called Koffee Anan is a clever pun – it means Coffee in the Clouds in Hebrew, and is the name of the past head of the UN – you’ll see the significance of this if you visit. Meanwhile, the Gamla Nature Reserve, a rocky camel-shaped outcrop, is the site of a Jewish city founded 2000 years ago. Dubbed the ‘Masada of the North’ by some, the site is one of Israel’s many gems not so much for its antiquities but for something else. 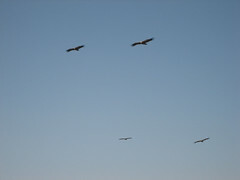 Its stunning views, and observatory attract bird enthusiasts from around the world coming to see the Griffon Vulture (as well as the view of course!). Of course, one of the most popular attractions of the Golan Heights is the Mount Hermon Ski Resort, Israel’s only ski resort. With 50 days of skiing a year in the winter months it might not be a world-class resort, it is pretty cool to be able to ski less than three hours away from the desert. The resort is also open in the summer months and is really popular for its diversity of plant life and magnificent views. The lifts are open all year round so if you’re there in summer, you can hike and swim in the many streams. In spring the plains are at their most beautiful, carpeted with multi-colored flowers. In autumn the cooler weather attracts hikers to the many wooded trails. Another popular hiking route is the Golan Trail. Nearby, is the spectacular Nimrod Fortress, the biggest Crusader fortress in Israel, beautifully preserved and mighty impressive. Due to its location, the easiest way to explore the Golan Heights is by car or joining a tour, although our guide about how to get to the Golan could help. It’s about a two to two and a half hour drive from Tel Aviv and Jerusalem to the southern-part of the Golan Heights, and whilst it is possible to travel around by bus, it can be difficult as schedules can be infrequent. 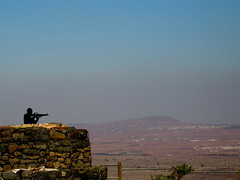 Group tours to the Golan Heights operate every week, whilst a private tour is a great option if you do not have a car. An ATV buggy tour takes you on a driving experience through the varied landscapes of the region, seeing its majestic views, historic points, and amazing natural beauty. Many of the best extreme activities in Israel can be found in the Golan, such as the water hike and canyoning adventure which can be found in the Black Canyon, great for groups of friends or families. In the warmer summer months, the water of the Golan becomes a super selling point, and one of the best experiences can be had rafting in the Jordan River, in the valley to the west of the Golan.